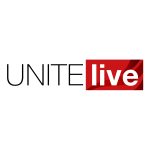 Unite is backing a call for unpaid carers in England, Wales and Northern Ireland to receive the same amount of financial support as their counterparts in Scotland. The change means that carers living in the UK are receiving different levels of financial support depending on where they live. Due to the disparity more than 750,000 unpaid carers in England, Wales and Northern Ireland are £442 a year worse off compared with carers in Scotland. Last week (January 10) the Carers UK charity delivered a letter from 8,200 carers calling on work and pensions secretary Amber Rudd to increase Carer’s Allowance in the rest of the UK to match that in Scotland. Unpaid carers provide a valuable service to the country, with the ONS calculating that the government would have to spend £56.9bn a year replacing unpaid carers with care workers. Unite regional officer for north east Wales Joanne Galazka, who works with the Carers’ Trust following her own experiences as a young caregiver for her mum and younger brother, seconded the call. She said, “£64 a week is an abysmal amount so anything that is an increase is going in the right direction. But even the Scottish Carer’s Allowance doesn’t really value the contributions that carers make to the economy. The petition came at the same time as a Human Rights Watch report that highlighted the crisis within England’s social care system. The “Unmet needs: improper social care assessment for old people in England” report said elderly people in England are being denied their rights to health and independent living because of “serious cuts to social services funding”. Head of Unite Community Liane Groves said, “Over the past nine years the Tories have relentlessly attacked Britain’s most vulnerable people and those that care for them.